Since the debut of Resident Evil in 2002, the four part film series (loosely) based on Capcom’s survival horror video games has secured almost $650 million in global box office ticket sales. Certain fans of the Resident Evil games still criticize the big screen adaptations for being overblown and hollow action flicks that bypass canon storylines in favor of convoluted Alice (Milla Jovovich)-centric film plots; however, audiences still turn out in droves for director Paul W.S. Anderson’s over-the-top take on the franchise. In fact, each subsequent Resident Evil film has delivered a higher box office gross than the one before – with Anderson’s return to the franchise director’s chair in part 4, Resident Evil: Afterlife, nearly doubling the global haul of part 3, Resident Evil: Extinction. 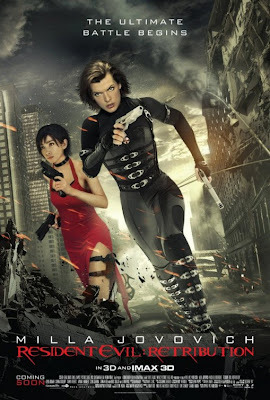 Anderson is now set to deliver Resident Evil: Retribution, another in-your-face 3D action experience that, this time, brings back a number of familiar faces from prior installments, as well as new fan favorite characters from the game series.